WWE Raw Results (2/11): The Man Meets McMahon, Seth Rollins Responds to Brock Lesnar, New Champions & More! 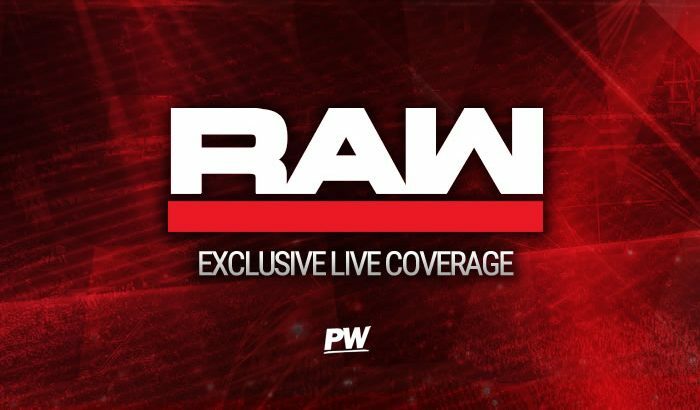 Refresh the page throughout the night for continued coverage, and follow along in the comments below or on Twitter @pw_dotcom or @MC_Wilkinson1. Coverage starts at 8/7C! We kick off tonight’s WWE Raw with Stephanie McMahon and Triple H who start the show by hyping up this Sunday’s Elimination Chamber PPV which leads to Triple H discussing Ronda Rousey, and how she was supposed to defend the title against Becky Lynch… until last week. The Game then shows highlights from Lynch’s actions last week on both Raw and SmackDown where she attacked both Steph and Hunter. Stephanie states that despite what happened, they are going to do what is best for business, adding that Becky saw her doctors this past weekend, but before she can continue… The Man makes her arrival on Raw. Becky says it’s nice to be here and that it’s good to see both Steph and Hunter, who says the whole thing escalated quickly and tells Becky he wants to put this behind them as he apologizes for what he said last week on SmackDown. Triple H says WWE’s medical team agrees with Becky’s doctor, that there is no tear or damage, and that after a few weeks rehab she will be fine as he says the suspension is lifted and the WrestleMania 35 match is…ON. Stephanie McMahon then jumps in and says that the match will take place IF, she can do one little thing. That little thing is…Becky must apologize to them for her actions last week. Becky asks what she should apologize for and tells Steph to shut her face and tells them that she doesn’t trust the McMahon family as they have been screwing people over for decades. Lynch says she will fight Steph, Triple H, even Vince McMahon, but she will not apologize! The Man then tells them to take their apology and shove it up their asses which leads to a face to face confrontation with Stephanie which Triple H quickly pulls apart. The Game tells her she must put this behind her if she wants a chance to fight at WrestleMania, and he gives her till the end of the night to make a choice whether or not she will fight Ronda Rousey or to throw it all away. Sasha Banks starts the match and smartly tags in Liv Morgan who is quickly flattened by Nia Jax, but the Riott Squad member manages to tag in the bigger, Sarah Logan who starts taking the fight to Jax. The two women then trade headbutts, with Jax coming off better as she brings in Tamina. Logan manages to get Liv Morgan back into the match, but she is quickly taken down by a big right hand from Tamina as she takes full control of the match. Liv attempts a comeback of her own until Nia Jax returns to the match, and Morgan then gets tagged in by Bayley but Morgan smartly pushes her into the path of Jax as the rest of the Riott Squad attack The Boss on the outside. As we return from the commercial Liv Morgan is in total control of Bayley whilst the WWE medical team tends to Sasha Banks on the outside. Morgan then tags in Tamina who continues the attack on Bayley, who remains without a partner as the medical team forces Sasha to go to the back, leaving Bayley alone. Back in the ring and Tamina goes for a Superkick but Bayley reverses and goes for a roll-up but Tamina is quick to kick out as Bayley then tags in Liv Morgan. The Riott Squad then hit a quick double team to Tamina but she continues to kick out and keep the match alive. Tamina once again uses her strength to dominate and tags in Jax again who hits an elbow to Logan as she starts to rag doll the Riott Squad member. However, as Tamina gets back in she misses with the Frog Splash as Bayley tags herself back in to go against Liv Morgan. Bayley then hangs up both Morgan and Tamina on the second ropes before sliding through the bottom ropes with a dropkick to Morgan and then takes out Ruby Riott. Bayley then heads to the top rope and drops Morgan with an Elbow Drop, seemingly having the match won until Sarah Logan breaks things up at the last minute. After dispatching Logan, she then manages to hit the Bayley to Belly, only to turn around into a Superkick by Tamina, who drags Morgan to the corner to tag in Nia Jax. Jax hits a Samoan Drop and gets the victory for her team, ensuring that Bayley and Sasha Banks will start the Elimination Chamber, giving them a distinct disadvantage.